Your Bridesmaid Are Different Sizes and Body Shapes and Tastes ? NO WORRIES !! 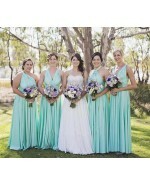 Our Convertible Bridesmaid dress is flattering on all bodies and shapes also available in plus size, these Multiwrap Bridesmaid Dresses can be worn on every perfect occasion such as wedding, date or any formal event It can be wrapped up nicely to form an Infinity Bridesmaid Dress that would be you perfect outfit for the special occasions. 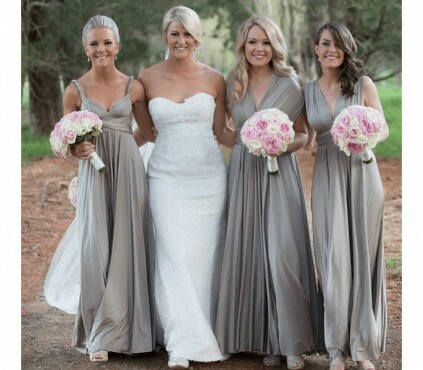 You will be surprised to see the different designs you can make, our Bridesmaid Multiway Dress is a timeless piece. that lets you create infinite looks for any body type and any occasion. 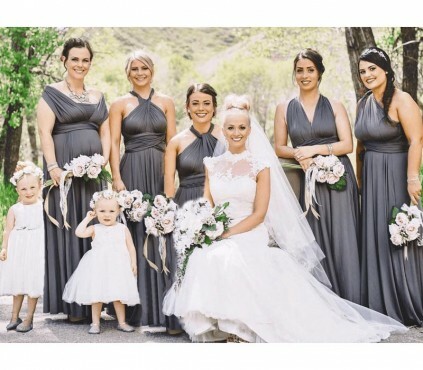 And YES it's MATERNITY FRIENDLY so that even if you are a PREGNANT BRIDE OR BRIDESMAID our Dress will fit you perfectly and let allow you match the other Girls !